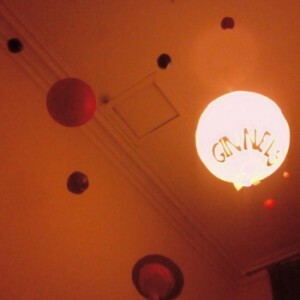 During my usual trawl for new Irish music a couple of weeks ago, I found the self-titled debut album from Ginnels. I had a listen to some of the songs, and was greatly impressed with the low-fi indie-pop which felt like a more hectic, and Irish version of Vampire Weekend. Over the next day or two, when I found out who was responsible, I was even more impressed. Mark Chester of Grand Pocket Orchestra and No Monster Club is behind it all, and it’s yet another solid release from the hard-working bassist/guitarist. Much like last year’s GPO album The Ice Cream, Ginnels is an upbeat record. It’s hazy and often vocally indecipherable, but the melodies are lush and ecstatic, making it a perfect Spring record. ‘Best In Town’ is a song which blossoms as it progresses, nodding at a one-man version of the Polyphonic Spree with its gorgeous melody. Some of the songs are straight-up pop, and are just as accomplished as the low-fi tunes. ‘Don’t Mean It’ and ‘Robbing a Waitress’ have an early 90s feel, while ‘Probably’ is a full-on two minute bombast. ‘Long Distance’ starts off industrially, but becomes a feel good hit of the summer. Well, it easily could be. Most of the songs clock in around the two minute mark, meaning that nothing ever overstays its welcome, and giving Chester the chance to try to be more adventurous, for example the organ interlude on ‘Herdwick Bones’ – if that was lengthened out to a four or five minute tune, it might be too much, but when it’s used sparingly, it adds to the charm. The simplicity and the childish innocence of ‘Caribbean’ is amazing too. With his latest project, Ginnels, Chester has shown himself as an endlessly creative songwriter, who oozes charm from every pore. A splendid debut, and one that hints at further greatness to come.